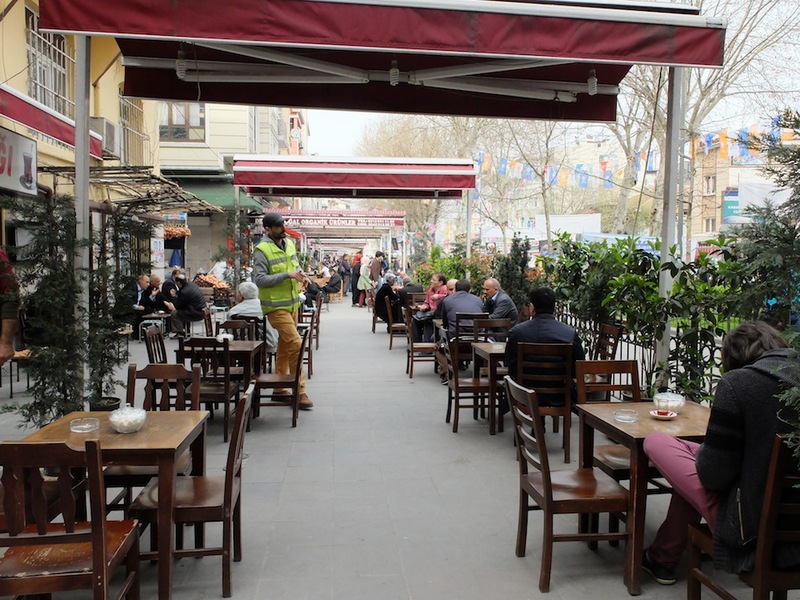 Turkey’s love affair with tea goes beyond being just a caffeine vehicle. It is a social lubricant, an inseparable and compassionate companion for many who sip the crimson coloured liquid anywhere and anytime from sunrise to sunset. 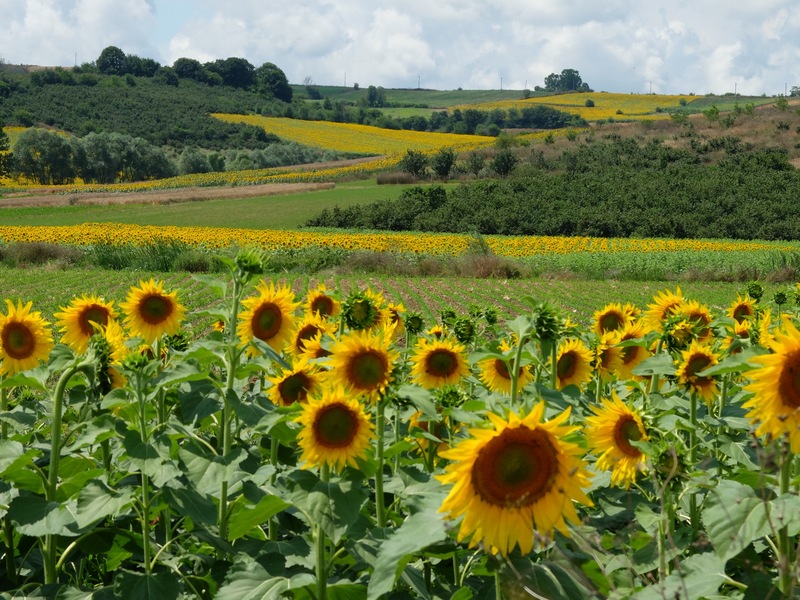 It is so magical that it has a cooling effect during boiling hot summer days, warming effect during the most frigid winter months, healing powers for the sick, the heartbroken, recharhing powers for the fatigued, relaxing powers for the stressed. 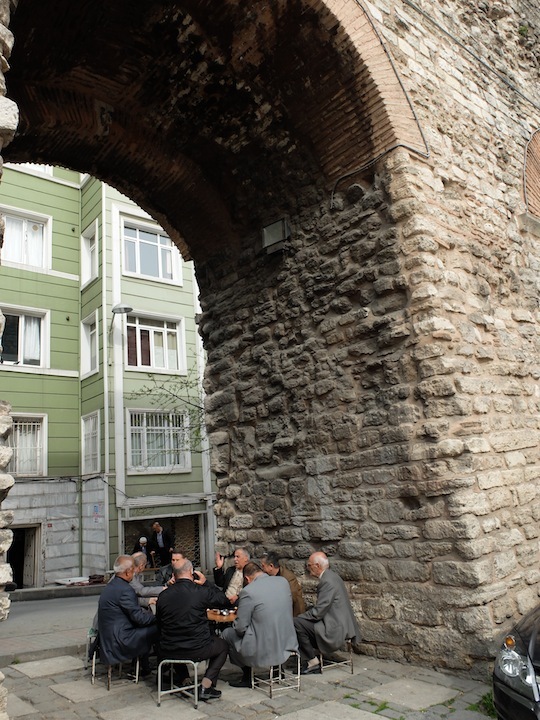 That is how extraordinary and hence essential tea is for the Turks. 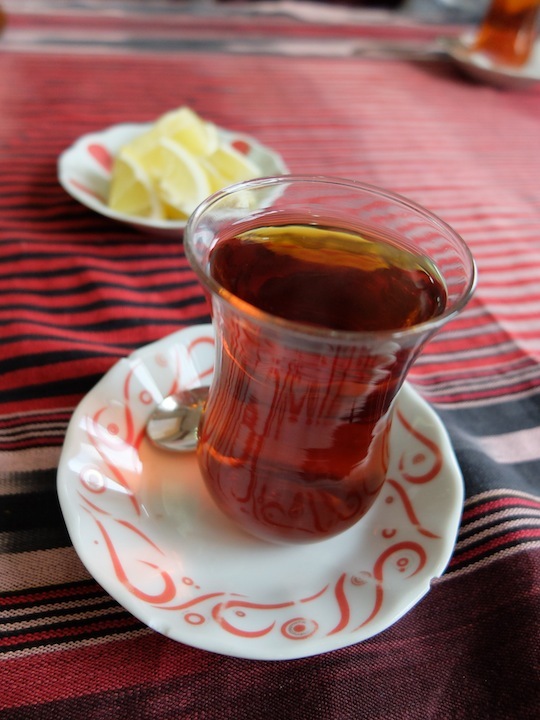 Not only is it magical and addictive, tea is very much part of theTurkish social experience and a symbol of cordiality. 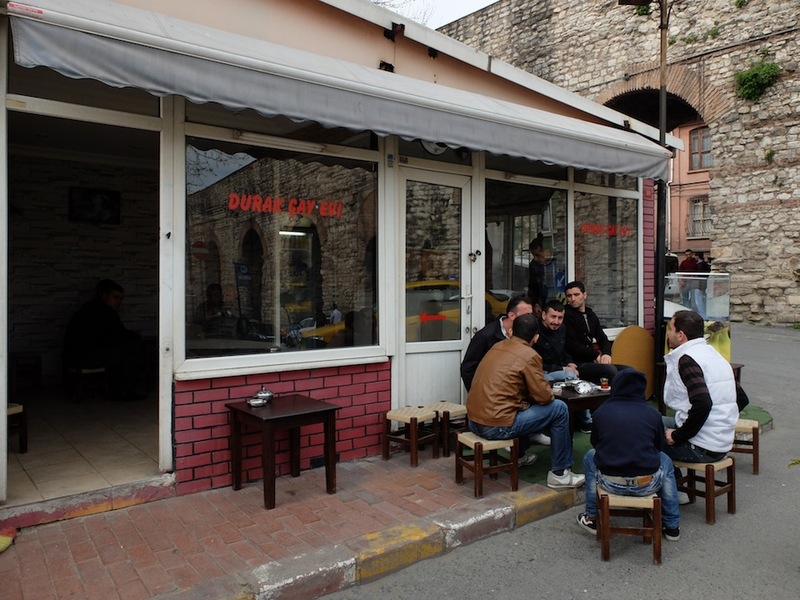 This popular leisure drink is an icebreaker, a gossip chaperon, commerce facilitator, hospitality promoter, energy booster, recharger, catalyst to heated political debates, companion to lively conversations, cigarettes, desserts, an avid partner on long bus trips, an opportunity to socalize, and the most fervent stimulant to boost the enchanting Bosphorus views on ferries shuttling between the two sides of Istanbul. 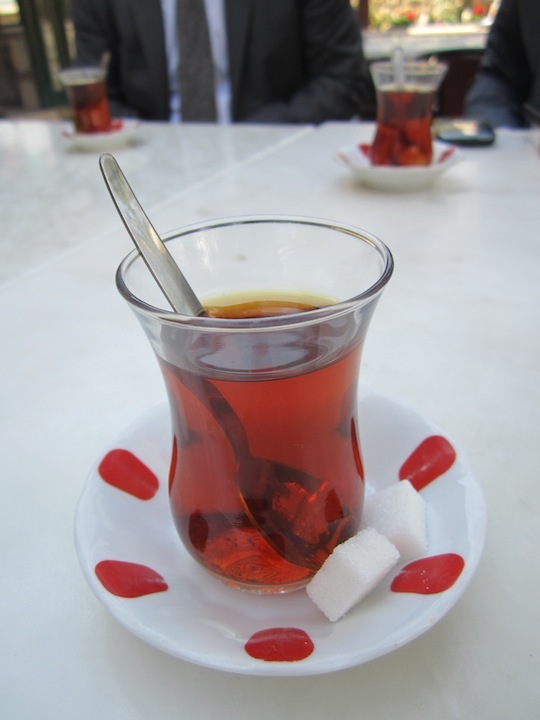 Turkish tea culture does not resemble that of the British afternoon tea tradition with milky tea being served alongside scones, nor that of American “iced tea” to help gulp down hamburgers nor the tranquil Japanese tea traditions where all those entering the low crawl space of the sukiya, or tea house, are required to bow and humble themselves. 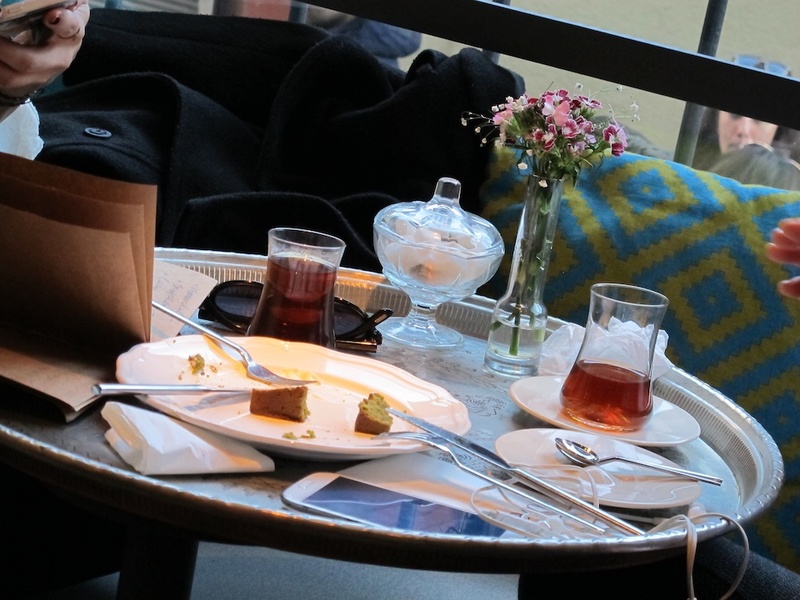 For the Turks tea reflects perpetual activity, tangled up in the country’s character. 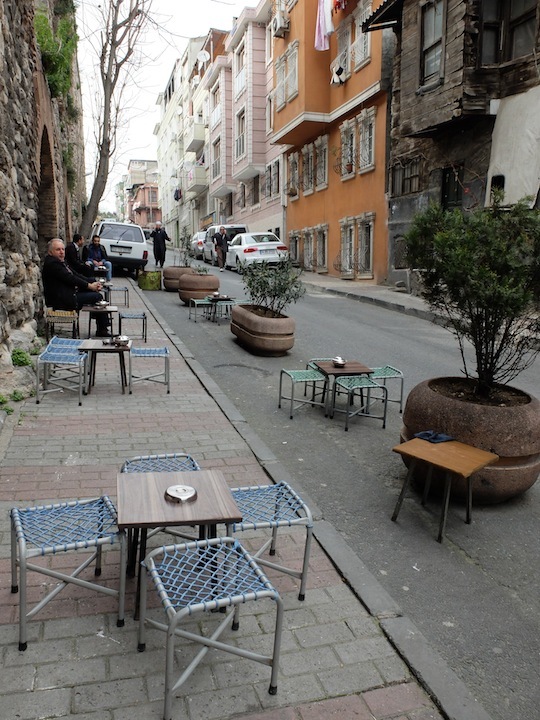 There is a non-stop pouring of tea across Turkey and constant clinking of tiny teaspoons agains the small tea glasses everywhere you step foot. 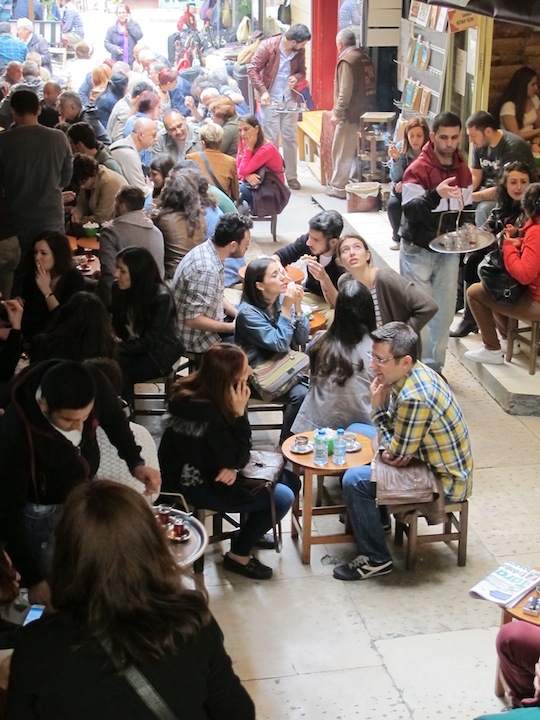 It will be served without even asking at business meetings, during any kind of “longish” local shopping outing, after lunch, dinner, at a visit to a friend’s house, on inter-city bus trips, even at gas stations. 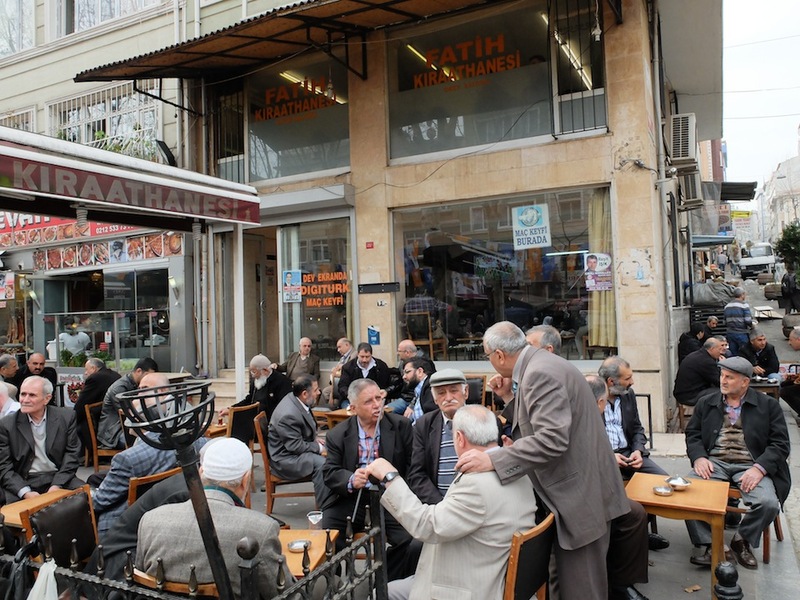 Tea gardens called çay bahçesi where friends and families gather to chat and çay evi or tea houses , the social hubs where predominately men of all ages gather to play backgammon, cards, talk about sports and debate about politics, are dotted across all towns. 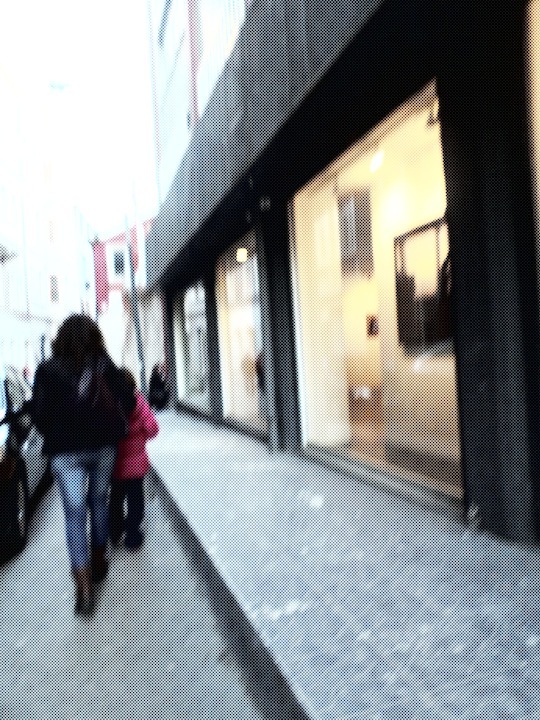 Little boys refreed to as “çaycı” carrying silver trays lined with small tea glasses shouting out “ÇAY” (CHAI) , always in “calling distance”, hurriedly shuttling tea between the tea houses and shops are such a familiar sight. 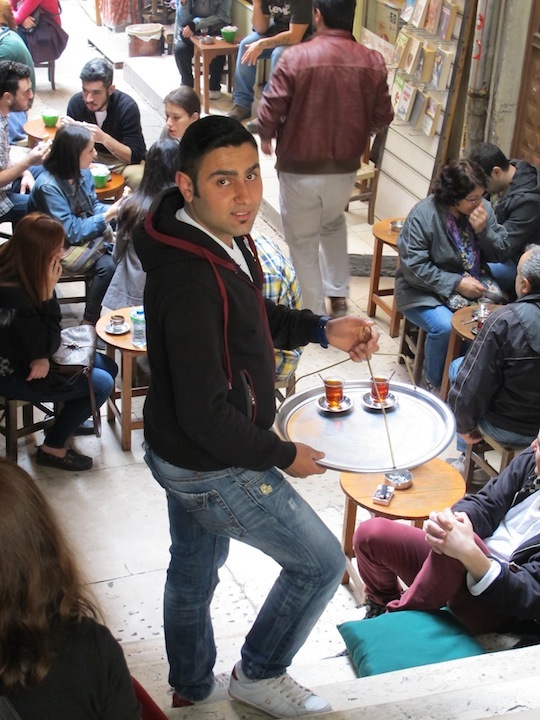 There is a certain rhythm associated with the steady darting of these “çaycı” from one shop to the next to replenish the empty glasses with this piping hot drink in order to keep the conversation flowing. 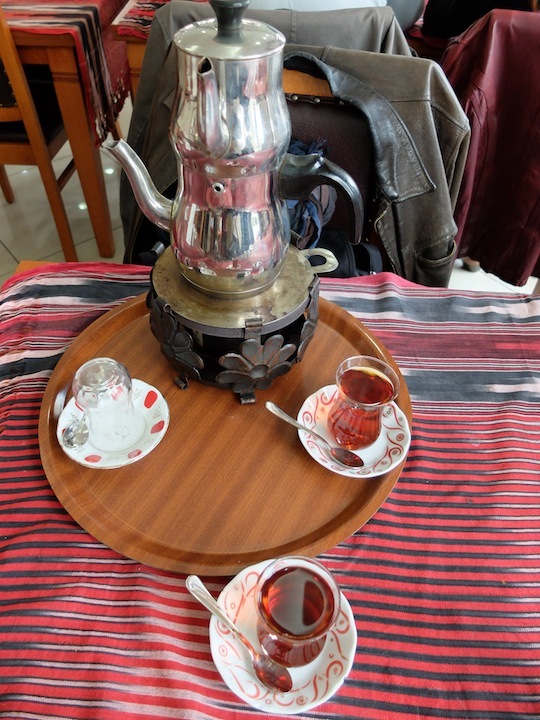 There is a certain ritual to preparing tea in Turkey . Dipping a tea bag into a mug of boiling water is a simple NO-NO. 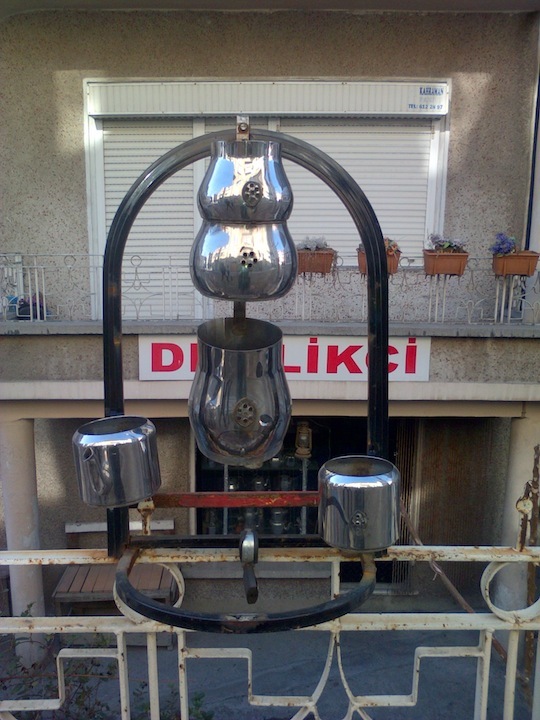 A double-decker purpose-built tea pot or “çaydanlık” is used to brew real Turkish “black tea”. The bottom pot is filled with water, and the top pot is filled with dry tea leaves, typically one small spoonful per drinker. 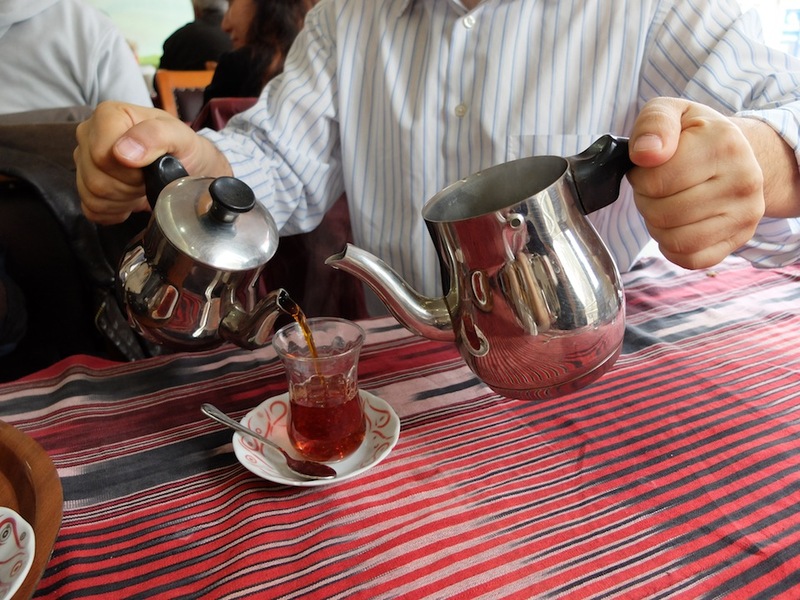 When the water reaches a boil, some of it is transferred to the top pot and the tea is allowed to steep for 15 – 20 minutes. Tea from the top pot is then poured into glasses through a strainer and then diluted with hot water from the bottom pot according to taste. 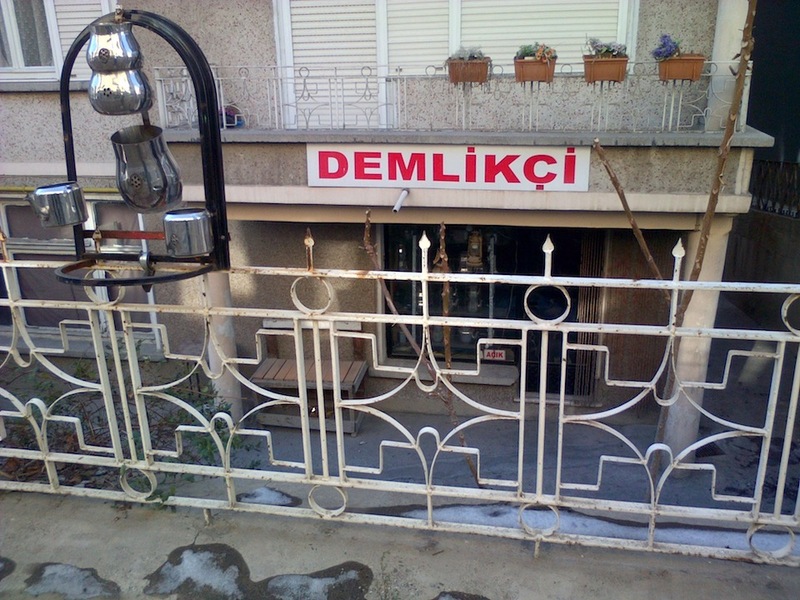 It is served either weak with lots of water added (açık) or dark and steeped (demli or koyu). 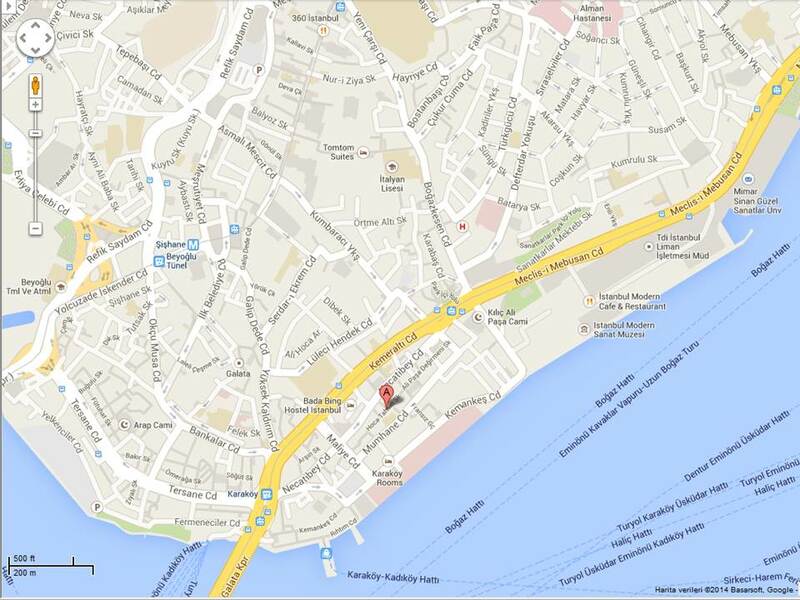 If the preferred stregth is not specified, then it will be served middle strength. 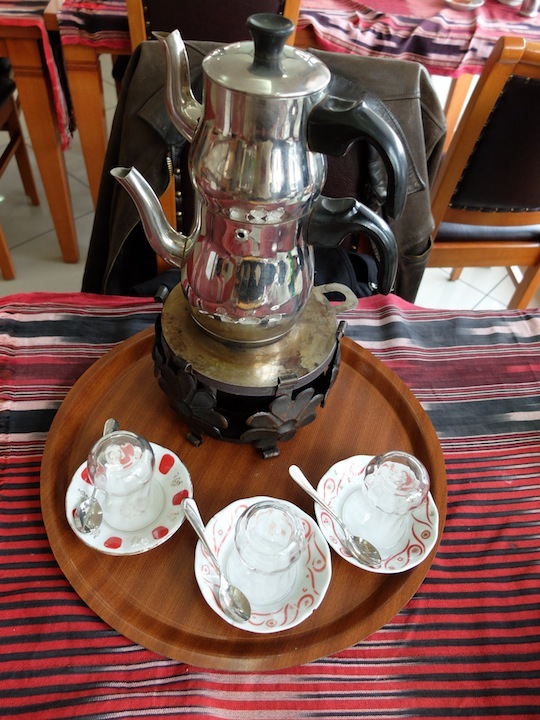 In fact the caydanlik is such a cherished object of the household, Turks prefer to have their teapots mended instead of throwing them out and purchasing a new one. There are in some communities little repair stores dedicated to merely fixing teapots. 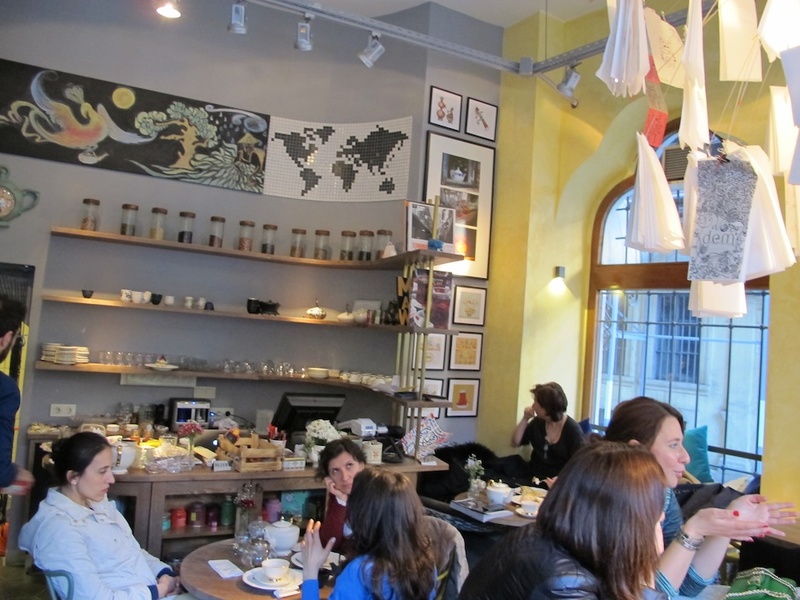 Turkish women and shopkeepers are all very well versed in hospitality and will continue to serve tea until the guest explodes. This is where the position of the tea spoon speaks on behalf of the guest. Teaspoon inside the empty glass signals that the guest wants another helping of tea, the spoon placed flat across the empty glass forming a barrier means no thank you, I have had enough. My graceful sister-in-law is an avid tea drinker with a diverse knowledge of myriad tea types across the world and a deep interest in discovering new flavours by constantly mixing and matching. 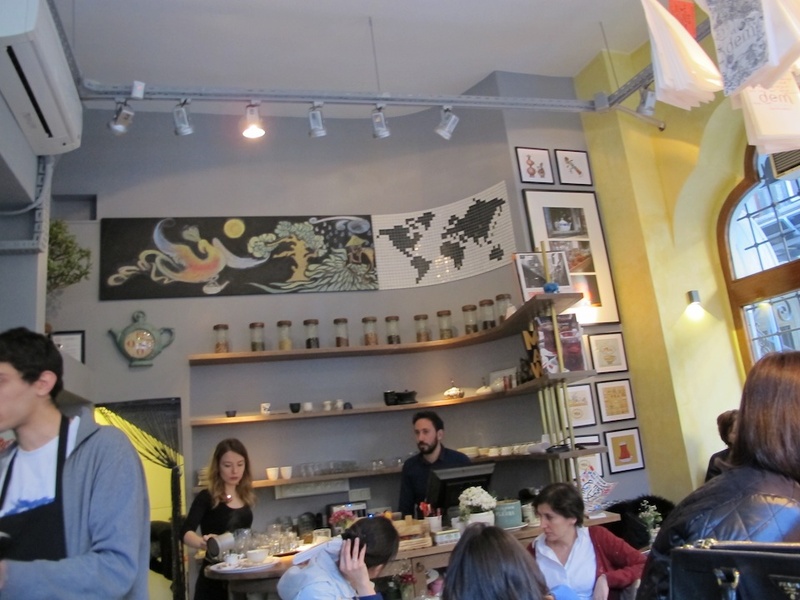 So of course it was no surprise when she told me of her latest find and invited me to enjoy a cup of tea with her beautiful daughter at a newly opened “tea house” DEM in Karakoy, close to my favourite Istanbul Modern museum. 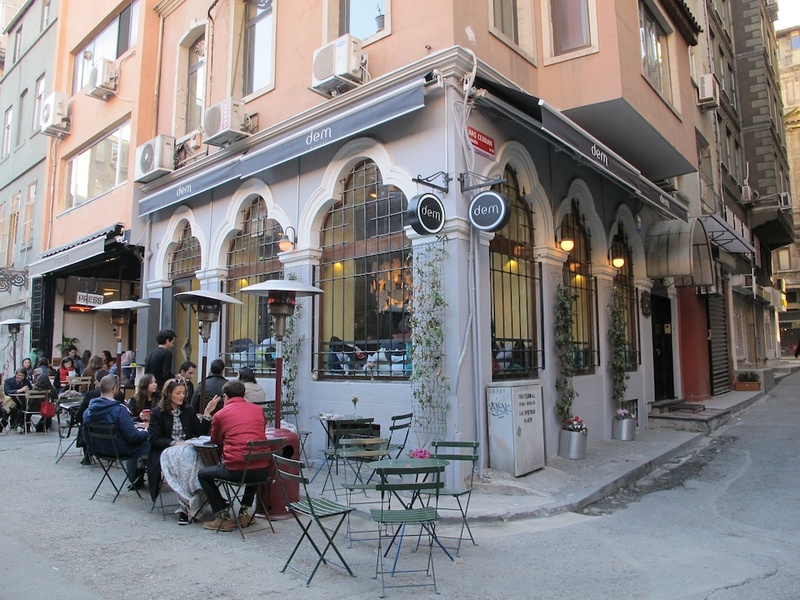 The cafe does not border the sea but is close to the port and local ferry station in Karakoy, which once upon a time used to be the hub of commerce in Istanbul. 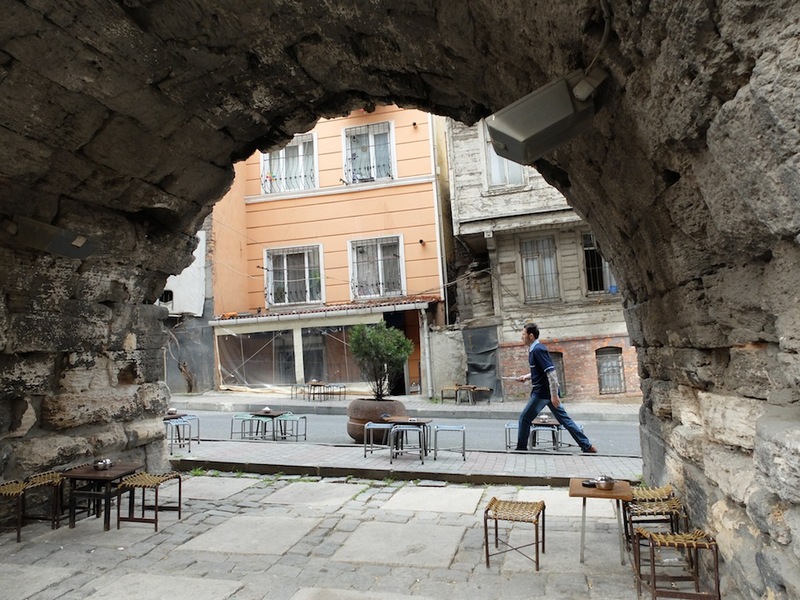 This very part of town crowned with very ornate buildings had long been left to its destiny but is finally regaining its past glory through a thorough and delicate facelift. 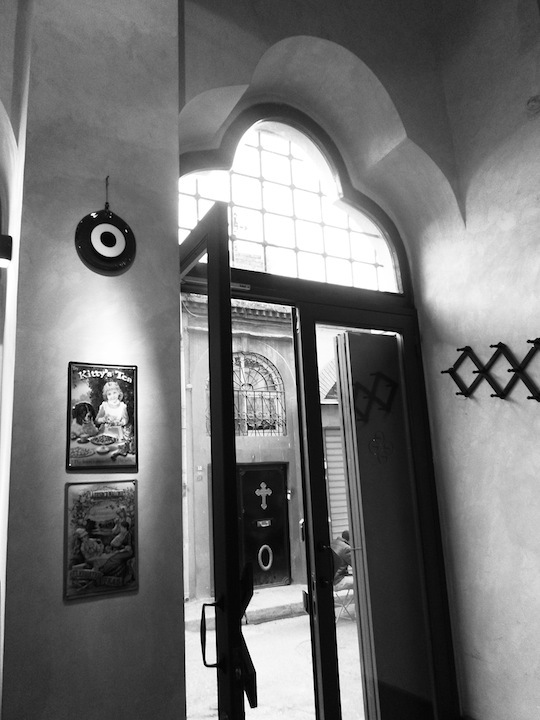 In fact the whole area is reminiscent of a beautiful lady waking up from a long and deep sleep – perhaps what Murakami’s Eri Asai in his novel After Dark would feel like if she ever wakes up from her heavy sleep – gracious, applying make–up to her beautifully chiseled face in order to tackle the day with finesse. 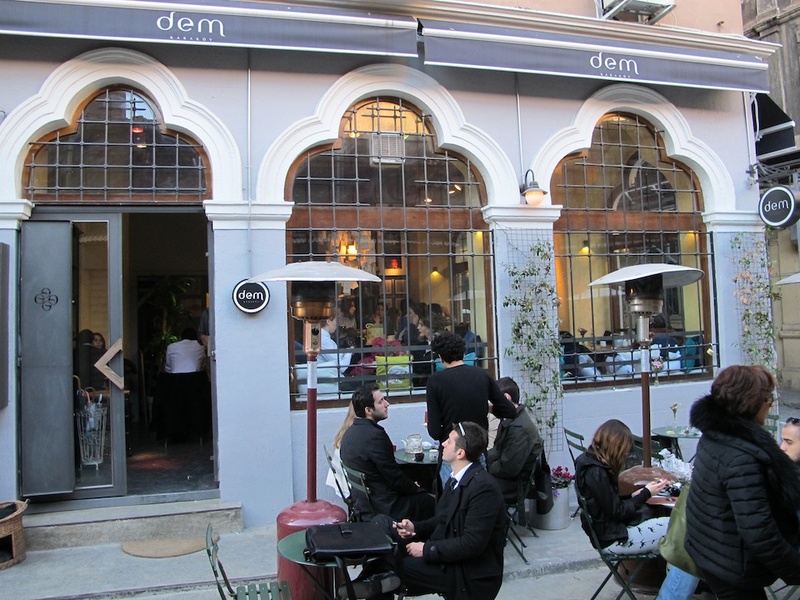 I presume the name of the cafe “DEM” refers to tea brewing which is “cay DEMlemek” in Turkish, a smart use of words. Albeit being clear, it was a crisp day, rather frigid for my 7 year old niece to enjoy an exterior table so we opted for a table inside with a great view to gaze at the passers-by. 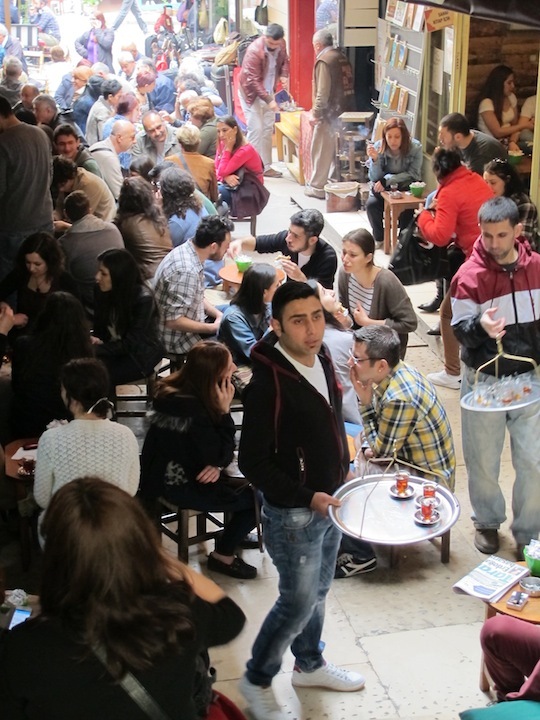 The joyous and chattery crowd sitting outside the tea house being complete opposite to the quaint, serene and very tranquil atmosphere awaiting the guests inside. 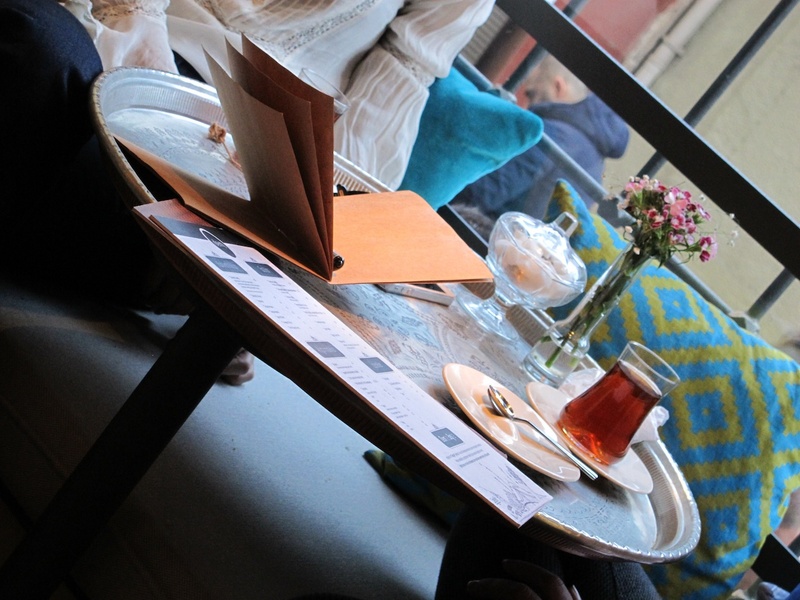 The selection offered ranges from the crimson coloured Turkish tea served in tulip shaped glasses to myriad infusions served in British styled tea pots accompanied with delicious sweet snacks displayed on stacked plates. 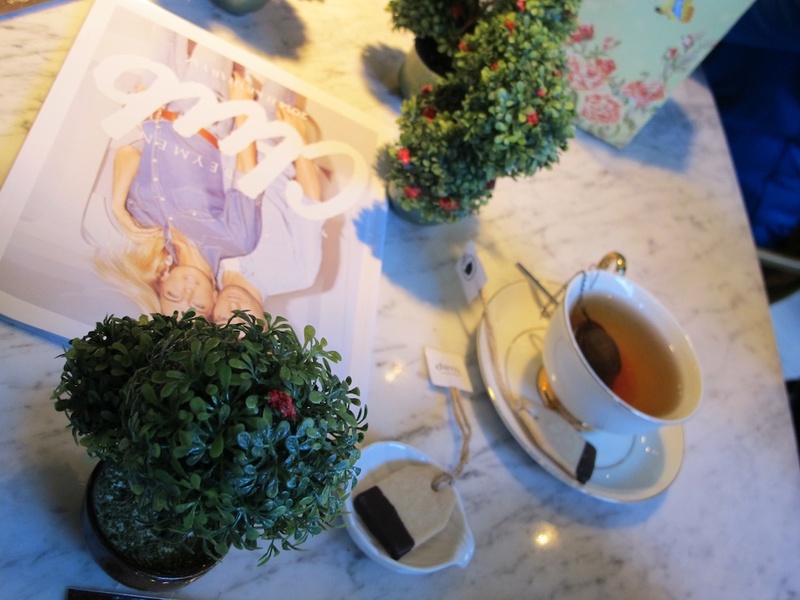 Whatever the type of tea ordered from plain to fancy, guests are suprised with the gift of a biscuit lollipop half dipped in chocolate with the “DEM” tag. 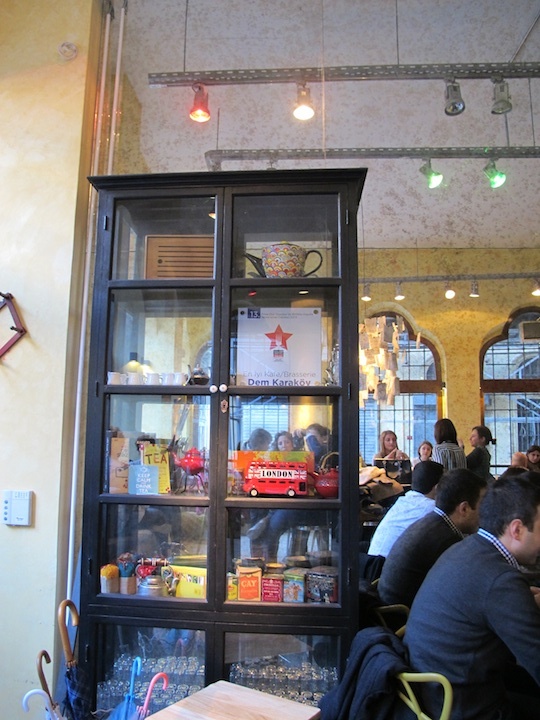 Apart from the selection of teas, there are some juices and cold drinks, however the only choice of coffee available is Turkish coffee which I am sure had to slip on to the menu for customers like myself whose prime choice is coffee over tea. 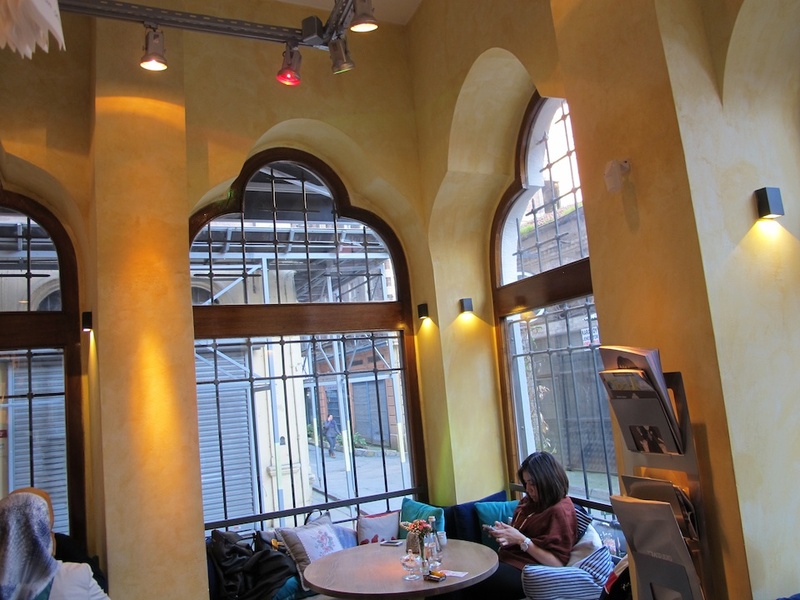 In fact the atmosphere is such that you simply want to prolong your time sipping your drink in order to prolong the warm and tranquil feeling that is so relaxing. 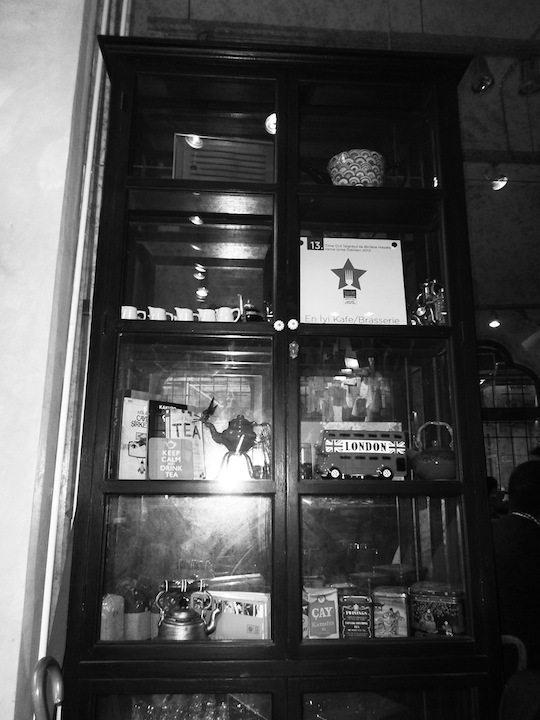 First impressions hardly ever wear off and I am glad my discovery of this cute little cozy tea house was with the two beautiful ladies who are so very dear to me. 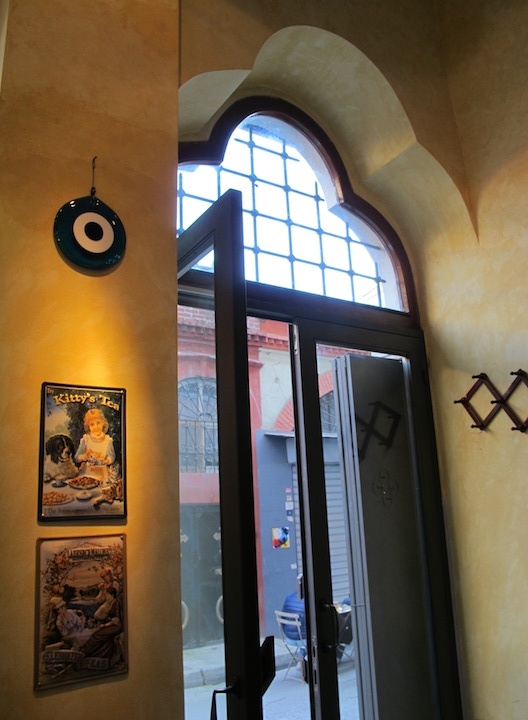 And of course just by the door, there is the famous eye shaped amulet to ward off the evil eye, another strong tradition in Turkey – forever present in restaurants, cafes, at the back of lorries, in all homes, on jewellery, on mobile phones, cars…. Below was the best gift of the day from my niece drawn exclusively for me…Ms. 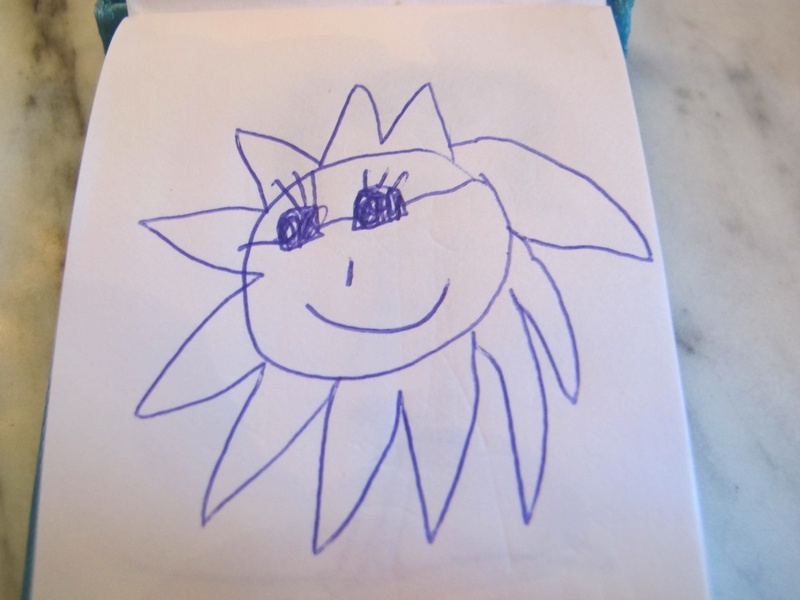 Sun smiling with sunglasses stenciled with the most petite and precious hands. 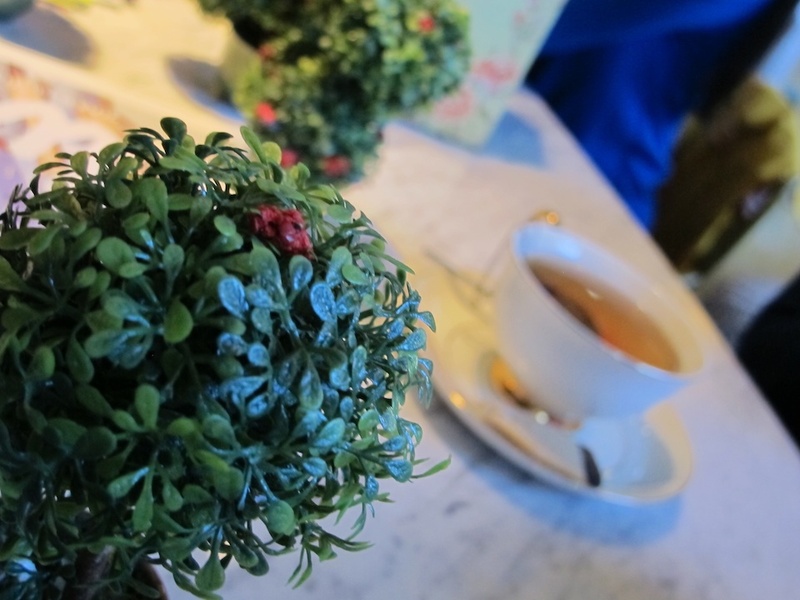 One must drink tea with a pinch of imagination. 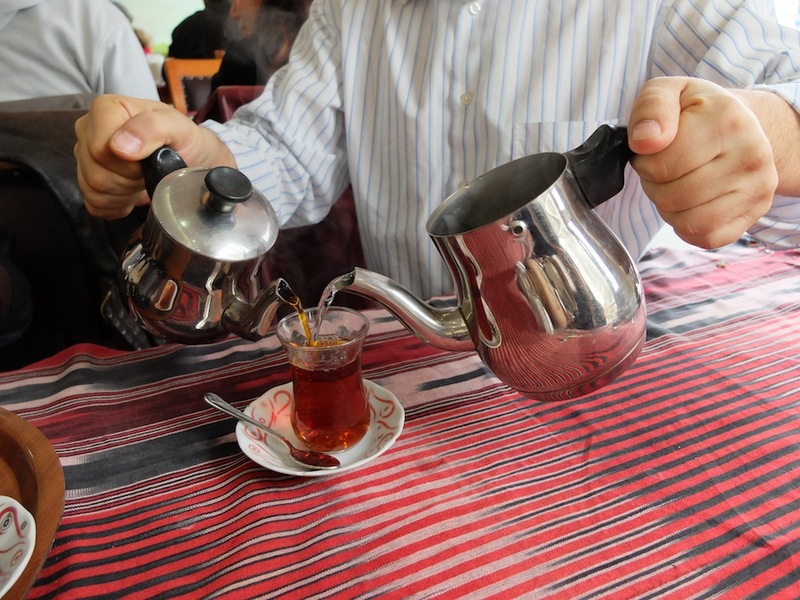 In Turkey tea is more than colured boiling water. 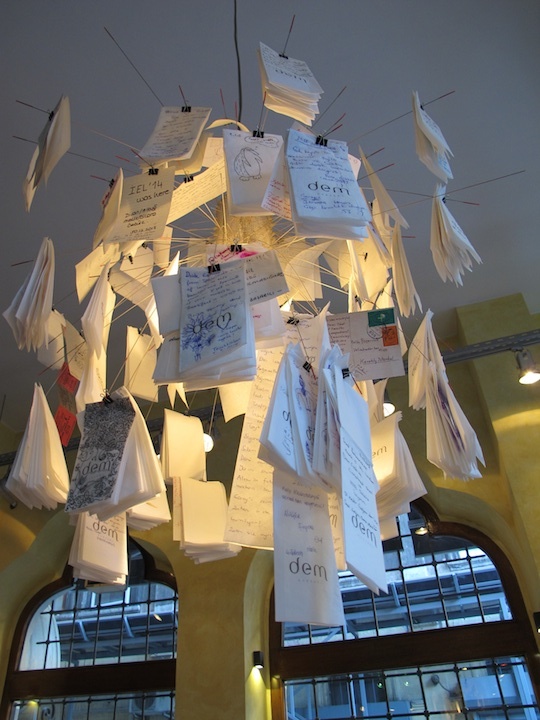 It is so entwined into the social fabric that it helps to unwind and develop a very creative frame of mind. 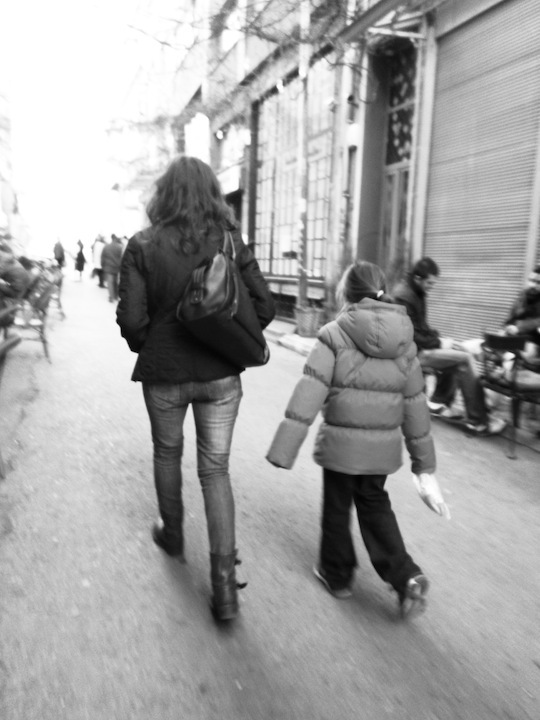 My graceful sister in law and beautiful niece returning home after our wonderful afternoon tea outing.